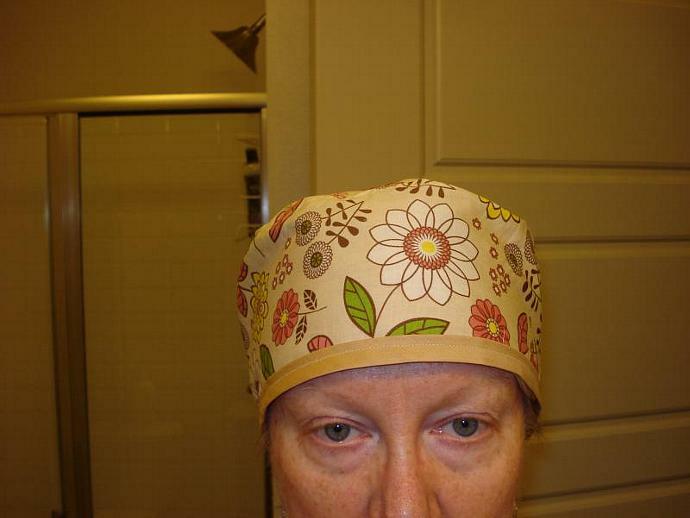 This hat is great as a hat in any situation where you need your hair covered OR for those with a medical condition who are experiencing hair loss. Handmade and designed by me. This specific design ties at the back. Made with 100% cotton so that they can be easily washed in the washing machine with cold water and tumbled dry on low heat. However, for the absolute best care, I recommend washing them by hand in cold water and allowing them to air dry. Top - 7" X 6.5"